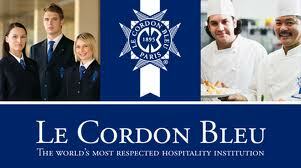 Le Cordon Bleu New Zealand invites scholarship applications for the Diplôme de Cuisine and Diplôme de Pâtisserie. Two scholarships worth NZD $20,000 are available for the January 2013 intake of each programme. With over 100 years of teaching experience Le Cordon Bleu provides the ultimate training in the culinary arts. Opened in 2012, Le Cordon Bleu New Zealand is located in a state-of-theart, purpose built facility in the heart of Wellington’s dining and entertainment district. Our approach is to combine the very best of new world innovation with the artistry of the French traditions. Professionals, amateurs and enthusiasts come to Le Cordon Bleu for a superior culinary education delivered by experienced and awarded master chefs. Applicants must be 16 years or older by January 14th 2013. There is no upper age limit. Applicants for whom English is not their first language must have evidence of IELTS 5.0 or equivalent at the time of application. Applications will be accepted from September 15th 2012 and and must be received by 5pm on October 31st 2012. Applications will be assessed by a selection panel. Short-listed candidates will be contacted by phone for an interview. All applicants will be notified by November 15th 2012. The Diplôme de Cuisine and Diplôme de Patisserie scholarships are for the January 2013 intake only. If for any reason a successful candidate decides to defer their start, they will no longer be eligible to receive the scholarship. A total of four scholarships are available, two for Pâtisserie and two for Cuisine. In addition to the Diplôme de Cuisine and Diplôme de Patisserie the scholarships may also be applied to the Grand Diplôme. Successful candidates will have NZD $20,000 deducted from their tuition fees. Upon receipt of applications a short list of candidates will be drawn up to be reviewed by the selection panel. The final selection of short listed candidates will be made after a personal interview (via phone) and will take into account factors such as passion, character, extra-curricular activities, and commitment to studying at Le Cordon Bleu New Zealand. The closing date for applications is October 30th 2012. No application fee is required. For further information please contact enquiry@lecordonbleu.co.nz or phone +64 4 472 9800. Demikian kami sampaikan tentang Le Cordon Bleu New Zealand Scholarships semoga informasi tentang Le Cordon Bleu New Zealand Scholarships ini bermanfaat.